The Turkish 4×4 Wheeled Otokar APC is developed and built by Otokar (a sub-division of Koç Holding) a Turkish manufacturer of buses and military vehicles. 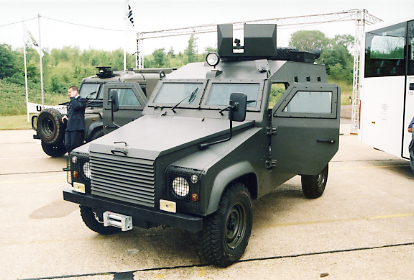 Otokar manufactures Land Rover Defender models under Land Rover-UK license and have utilised the Defender chassis in the design of Armoured Patrol Vehicles. Otokar Armoured Patrol Vehicle is a versatile 4×4 armoured vehicle adaptable to a wide range of military and security roles. With its high manoeuvrability, perfect stability, superior on and off-road capabilities, Otokar Armoured Patrol Vehicle will transport military forces through risky areas under ultimate protection. With its capacity to carry 8 people, it is a vehicle, which has proven itself in service Security Forces for many years. First prototypes were completed in 1993 and production for the Turkish Army started in 1994. The vehicle has been also exported to undisclosed nations.